We were saddened to learn of the recent death of literary powerhouse and cultural icon Maya Angelou. Most of her work is best read by older teenagers and adults, but luckily a number of pieces will allow young people to benefit from her wisdom and insight, too. 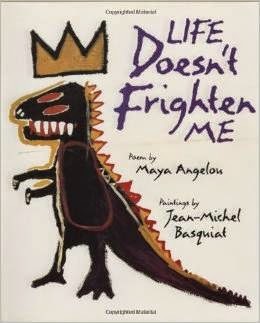 For example, Angelou’s poem “Life Doesn’t Frighten Me” is available as a picture book with fun, zany illustrations by Jean-Michel Basiquiat. Young children will enjoy Angelou’s beautiful words and gain inspiration for coping with everyday fears such as imagined monsters in the dark or new, frightening experiences. 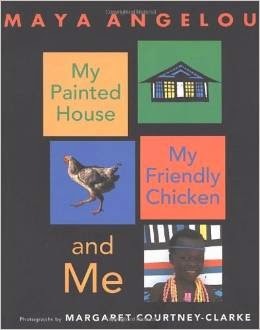 Those with wanderlust will love My Painted House, My Friendly Chicken, and Me, a magical volume that will transport readers to the stomping grounds of the Ndebele tribe in southern Africa. Readers will be entranced by the richly colored photographs and introductions to the people and their traditions. After reading her work, kids may be interested in Angelou’s life story. For those between the ages of 8 to 12, Maya Angelou: Journey of the Heart, is a good biography by Jane Pettit based on Angelou’s own memoirs. 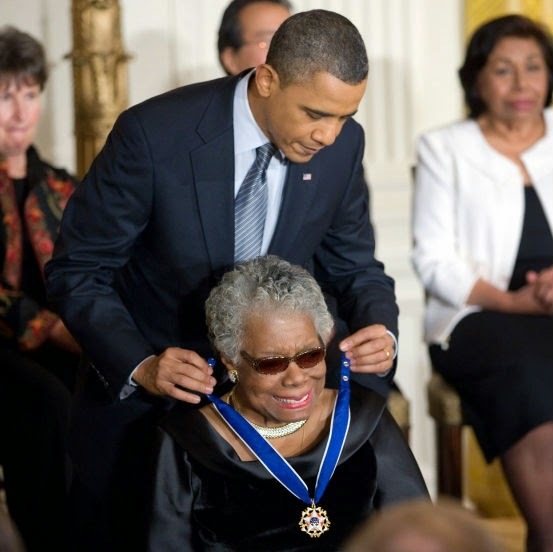 Maya Angelou lived a rich, vibrant life. Though her loss stings, we are lucky that we, and future generations, can continue to enjoy and learn from the evocative writing she left behind.